FSA sells the PowerBox power meter. 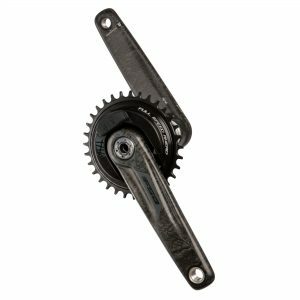 Available for both road and MTB, the PowerBox uses power2max’s proven spider design and comes with FSA chainrings and crank arms. 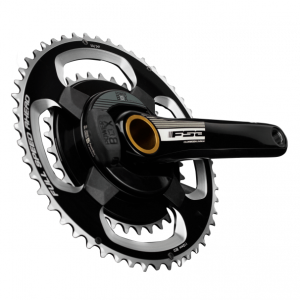 FSA power meters come in both alloy and carbon versions. 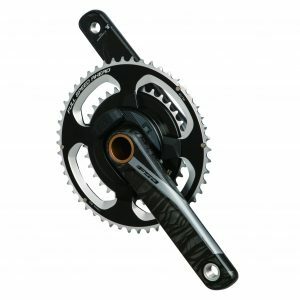 At $649, the alloy version is one of the most affordable crankset-based power meters on the market. Installation: The PowerBox comes as a complete crankset – spider, chainrings and crank arms. Installing the power meter requires you to remove your current crankset and replace it with the FSA. Assuming you are not changing bottom brackets, this is a pretty straightforward process. If you need to replace bottom brackets, we would recommend you seek the assistance of a bicycle mechanic as special tools are often required. Weight: Most FSA power meters run in the 700-900 gram range. The Road Carbon PowerBox is the lightest power meter FSA offers, which weighs 733 grams. Remember, when buying a power meter, you are concerned about added weight. 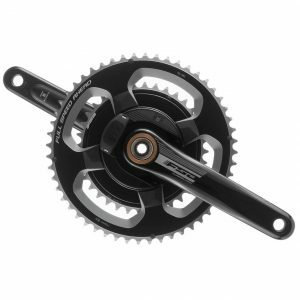 Therefore, determine added weight by subtracting the weight of the crankset you are replacing. Power Measurement: FSA power meters measure power at the crank spider. Therefore, they measure both left and right leg power. In addition, they are able to determine left/right power balance. Batteries: FSA power meters use 2450 coin cell batteries. These are very similar to the 2032 coin cell batteries used by many other power meters. Battery life for the PowerBox is around 400 hours – very good for a coin cell battery. Communication Protocol: FSA power meters support both the ANT+ and Bluetooth SMART wireless protocols. This means they are compatible with virtually any head unit, including smart phones. Accuracy: FSA power meters are stated accurate to within +/- 2.0%, within the industry standard for accuracy. Cadence Detection: FSA power meters use an accelerometer, hidden inside the crank spider, to measure cadence. With the PowerBox, there is no need to mount an external magnet. Warranty: FSA power meters come with a two-year manufacturer’s warranty which covers the product from defects in material and workmanship.